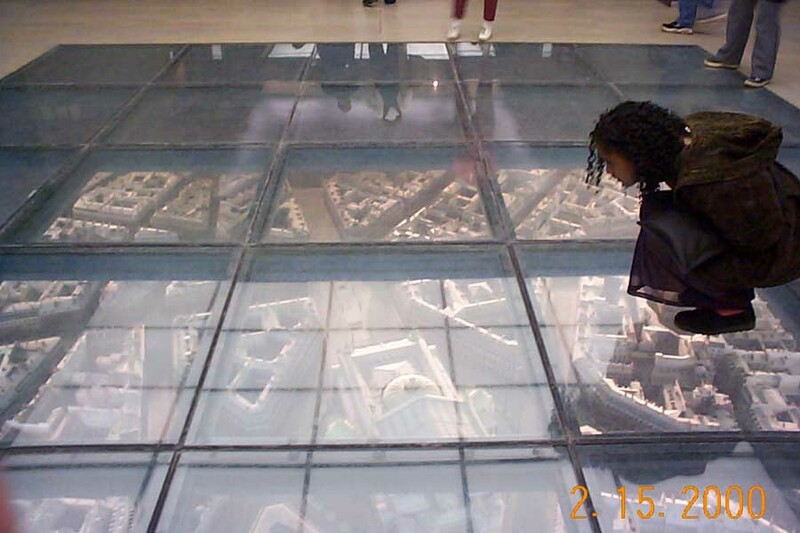 Here's Dan and Michelle's architectural view of Paris. 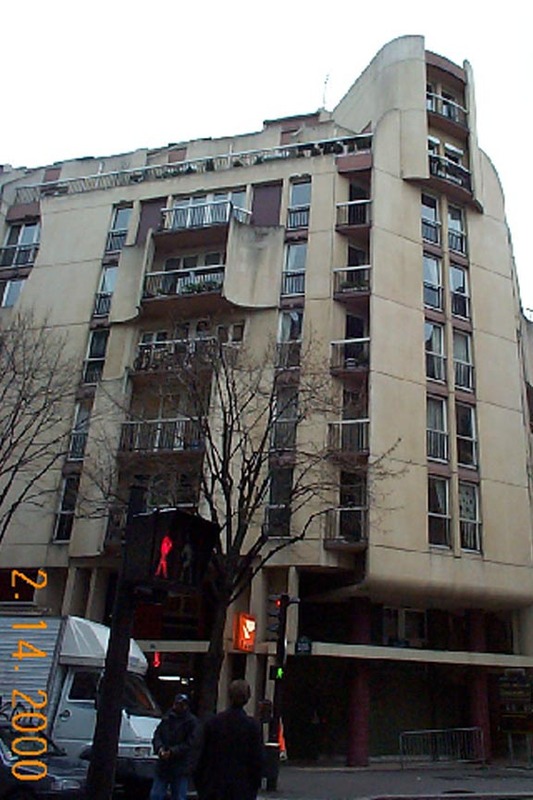 Let's take a look at some buildings in Paris. Here's the box city view of the city. 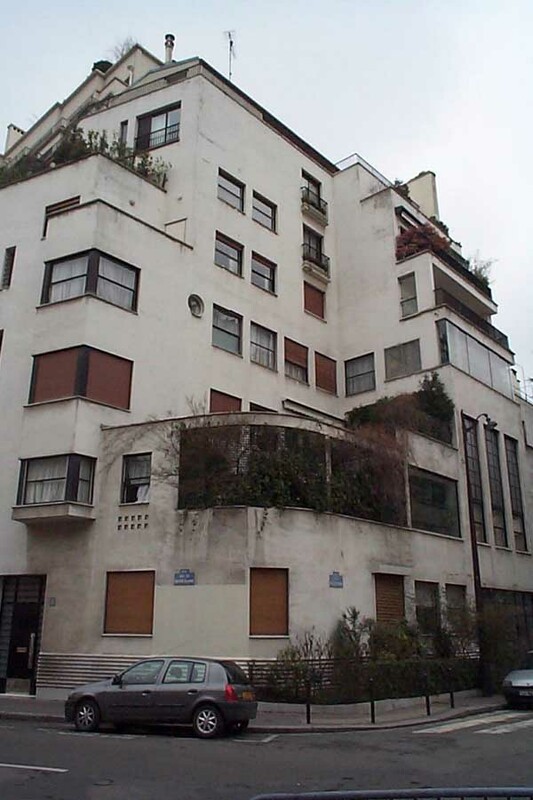 We walked through Auteuil which is home to many Art Deco buildings like this one. This building is in a fancy district of modern homes many of which were designed by Mallet Stevens. 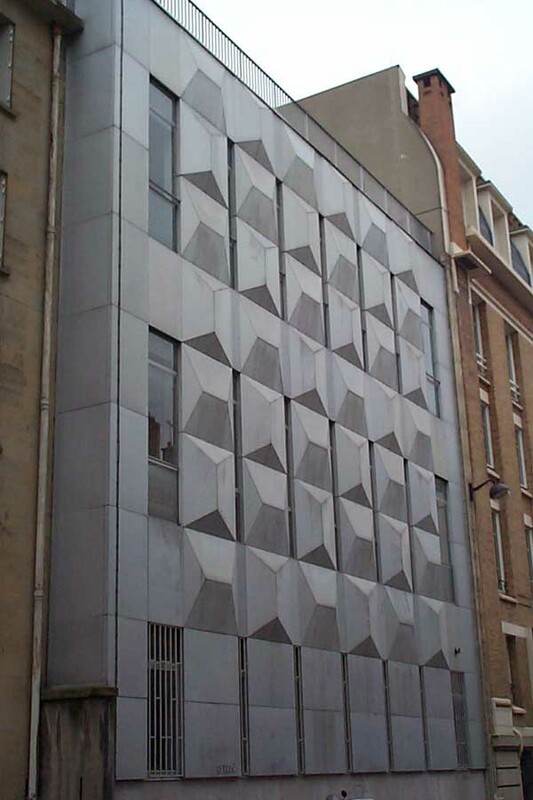 This building on Rue Jasmin in Auteuil reminded us of the Republic Building in Dallas. The Republic building is our friend Tami's favorite building at the site where husband Dan proposed. We suspect this building inspired the one in Dallas. 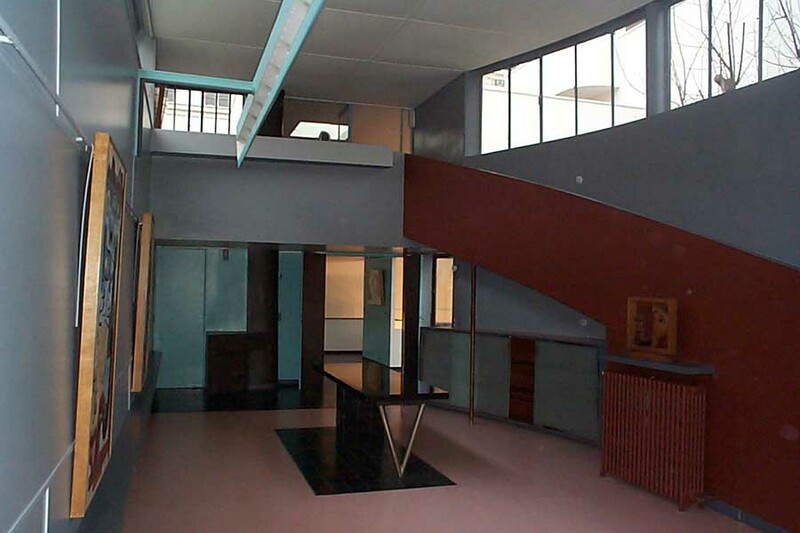 This is the inside of Le Corbusier's famous house Villa Roche in Auteuil. 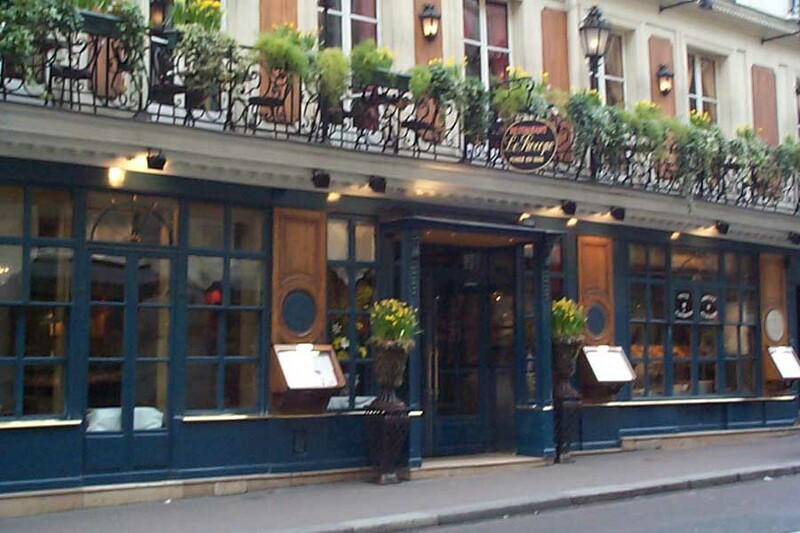 Here's Le Procope the oldest cafe in Paris. Voltaire, Rousseau, Napoleon and Emerson hung out there. 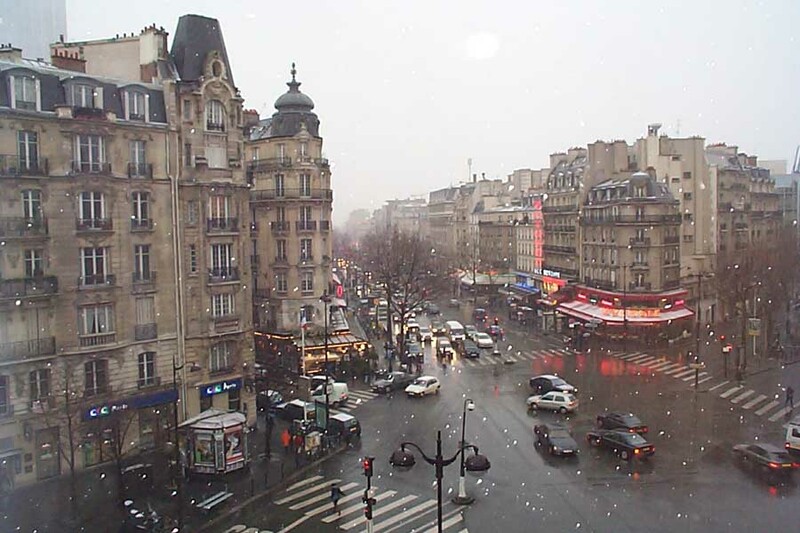 And finally, a view of the buildings outside our hotel window on a snowy day.